Is the electrical system in your commercial establishment still in its optimum shape? Are you experiencing electrical issues that are proving to be disruptive in your daily business operations? 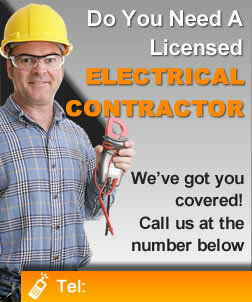 Can you assure that you are in compliance with state requirements regarding electrical systems in commercial places? Maybe it’s time to call a trusted and licensed team of electricians to evaluate your electrical system and make sure that it is in its best condition. Our professional Columbus, Ohio electricians can do routine electrical maintenance in your restaurant, grocery store, office, or hospital. If your electrical system doesn’t receive regular check-ups and maintenance works, you may be faced with accidents secondary to faulty wiring, breaker panel overload, and other dangers stemming from unknown electrical issues. Also, in a commercial area, you can’t afford to have frequent downtimes because of electrical problems. This will be troublesome for your customers and can be very costly on your part as the business owner. Making sure you have regular electricity maintenance in your commercial space is a great preventive measure against any safety and security risk that may be caused by a faulty electrical system, leaving you very little room for worries in this aspect. Investing in proper routine maintenance for your establishment’s electrical setup is something you’ll definitely be thankful for in the long run. So if you are not employing routine electrical maintenance in your commercial establishment yet, you may contact us so we can assign a professional and highly-skilled team of electrical specialists to do what needs to be done to ensure your electrical system is always in full steam. We can offer you a variety of system maintenance packages that will be suitable for your business needs. Aside from our top-notch commercial electrical maintenance solutions, our rates are affordable and you need not spend top dollar for your own peace of mind.